The new and improved white Biisafe Buddy V3 boasts a wealth of new features, including better Bluetooth tracking and a pedometer with a step count. 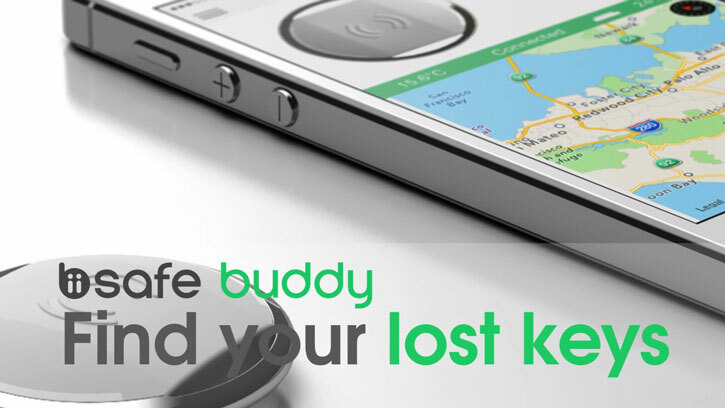 Attach the Buddy Smart Button to your belongings such as keys and track them via the redesigned app. Fuori catalogo - not available for purchase We are sorry, but this item is no longer available for sale. Please make sure you explore our impressive range on Mobile Fun to find an alternative that will suit your requirements. You can also contact our Customer Services team for help in finding a suitable item. Servizio economico con un buon rapporto qualità prezzo, ideale per ordini meno urgenti.Tempi di consegna stimati: tra 4 e 10 giorni lavorativi.Tutti gli ordini effettuati prima delle ore 18.00 sono spediti nello stesso giorno. Modalità di spedizione non tracciata. Note:I tempi di consegna stimati sono meramente indicativi. Mobile Fun non può essere ritenuta responsabile di eventuali differenze tra i tempi stimati e quelli effettivi. Il tempo effettivo di consegna può variare in base a diversi fattori quali la zona di consegna, il periodo dell'anno o l'efficienza delle poste locali. Tempi di consegna stimati: tra 3 e 4 giorni lavorativi.Tutti gli ordini effettuati prima delle ore 18.00 sono spediti nello stesso giorno. Modalità di spedizione non tracciata. Servizio di consegna rapido in 24-48 ore. Tempi di consegna stimati: 24-48 ore (Aree Remote escluse). Tutti gli ordini effettuati prima delle ore 18.00 sono spediti nello stesso giorno. Modalità di spedizione tracciata. Note:Per ordini superiori a 65 euro, potrete scegliere tra le opzioni DHL che verranno selezionate di default. DHL non effettua consegne durante i weekend, di conseguenza tutti gli ordini effettuati di venerdì saranno consegnati a partire dal lunedì successivo. In alcune zone considerate dal corriere come "Aree Remote" la consegna non è garantita in 48 ore. Per ulteriori informazioni sulle Aree Remote consultare il sito del corriere. 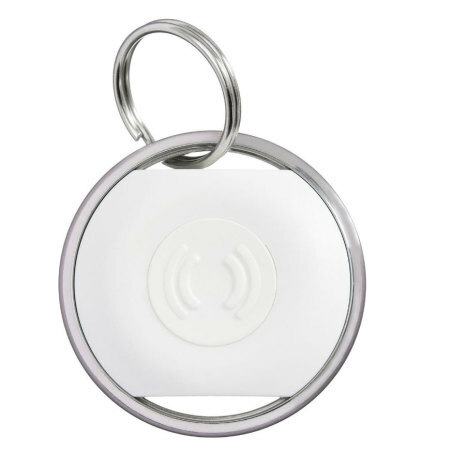 With the newly improved BiiSafe Buddy Smart Button you can now easily find your lost belongings. 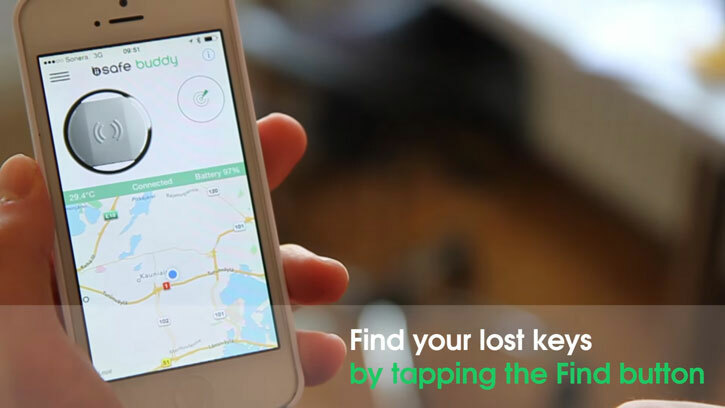 Simply attach Buddy Version 2 to your keys, bag, wallet or anything else you wish to track and via the free redesigned app, you'll be able to see exactly where they are. 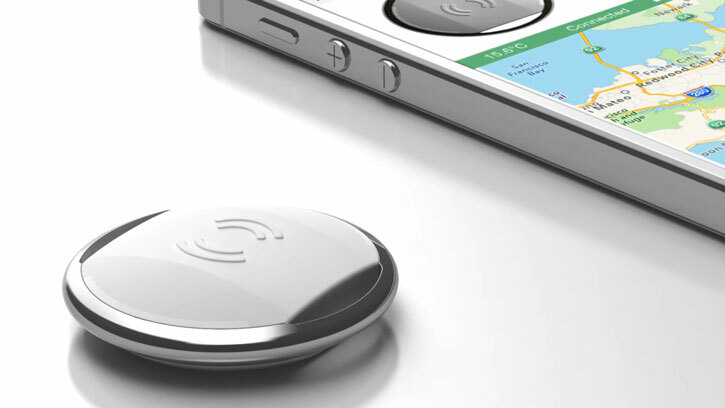 The BiiSafe Buddy Smart Button can also be used to find your misplaced or lost phone. If you are within Bluetooth range of your phone, simply press the smart button and it will help you to locate it. 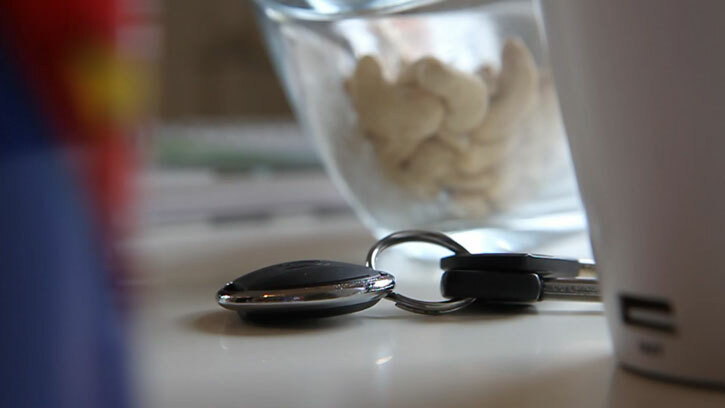 With the Buddy V2 Smart Button, you'll be able to track your belongings from even further away, due to an improved Bluetooth range of approximately 100m (300ft) as opposed to 30m (100ft). If you are ever disconnected due to not being in range, a notification is sent to alert you of this. Once back in range, the BiiSafe Buddy Smart Button will automatically reconnect. 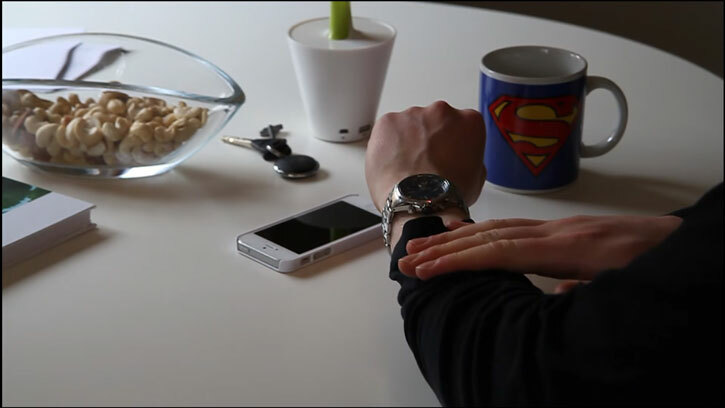 The volume of the alert sound has also been increased up to 100db, meaning finding your keys, bags, wallet or any of your other belongings becomes even easier with Version 2 of the Biisafe Smart Button. Using the free companion app, you can use Buddy to send a message to friends and family who also have a Buddy. Simply create a group and you'll be able to send messages between each other - ideal for checking on your kids, for example, or for making sure someone has reached a location safely. 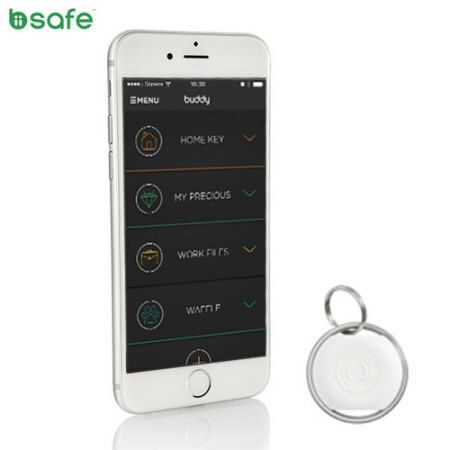 With the BiiSafe Buddy Smart Button, no longer will loved ones have to worry about you reaching somewhere safely. Simply press the icon on the Smart Button and give your friends and family peace of mind, by sharing your location with them once you have reached somewhere, all without even touching your phone. With an improvement on the previous design, the Biisafe Smart Button is manufactured from premium materials, which keeps it small enough to attach to any of your belongings. Making it perfect for attaching to your bag, wallet or keys withing anyone noticing it. By using Bluetooth SMART and only using GPS from your device when required, the Buddy Smart Button is extremely efficient. Building on the previous BiiSafe Buddy, the new Smart Button has been designed to have an even longer battery life of 2 years, which makes it an industry leader in terms of battery life within the location tracking device market. 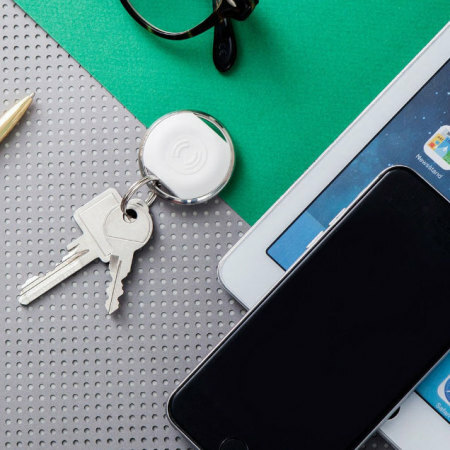 Featuring a replaceable CR2450 coin battery, you'll be able to track your belongings for even longer with the Biisafe Smart Button. Biisafe have not only made improvements to Buddy but have also redesigned their app to improve usability. The BiiSafe Buddy Smart Button app is available for both iOS and Android compatible devices. 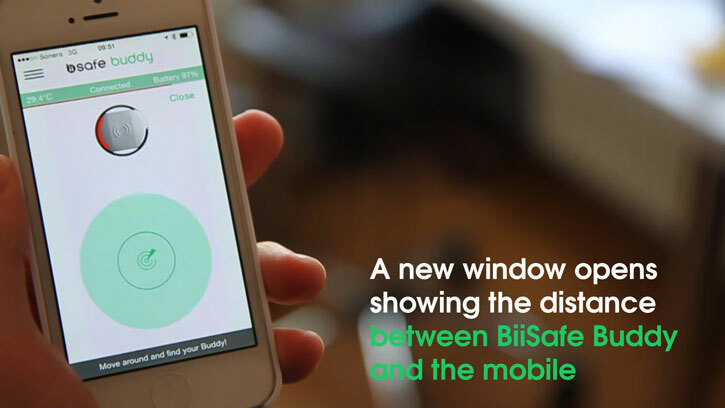 Simply download the app, create an account and you are ready to use your new BiiSafe Buddy Smart Button. Once installed you'll be able to connect multiple Smart Buttons and track a range of your belongings. You can connect connect up to 5 Buddies at once on an iOS device, however as Android devices have certain Bluetooth Limitations, only one Buddy can be connected. The BiiSafe Buddy Smart Button is compatible with a range of iOS devices including iPhone 4S or newer, iPad 3rd generation or newer and the iPod Touch. 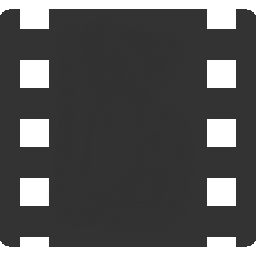 Android devices are also compatible, however they must run Android 4.3 or higher. You can also link your BiiSafe Buddy Smart Button to several devices, however it will only work with one device at a time and only connect to the closest device.